UPDATE: Jumilla had a very complicated operation as her elbow is broken in several places after being hit by a car. 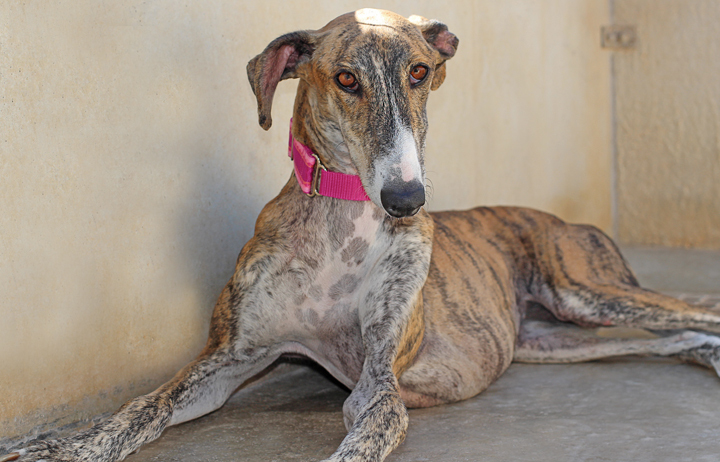 A really sweet girl and confident girl, she is healing will and will be available to be homed soon. Jumilla was probably hit by a car and left with a very complicated leg break. She was picked up in Murcia and the kind people that rescued her called us. The hunting season has only just began and already the pressure is on, imagine how the end of the season will look. Jumilla has terrible fractures and an infection. Yes, I am interesting in sponsoring or adopting Jumilla!